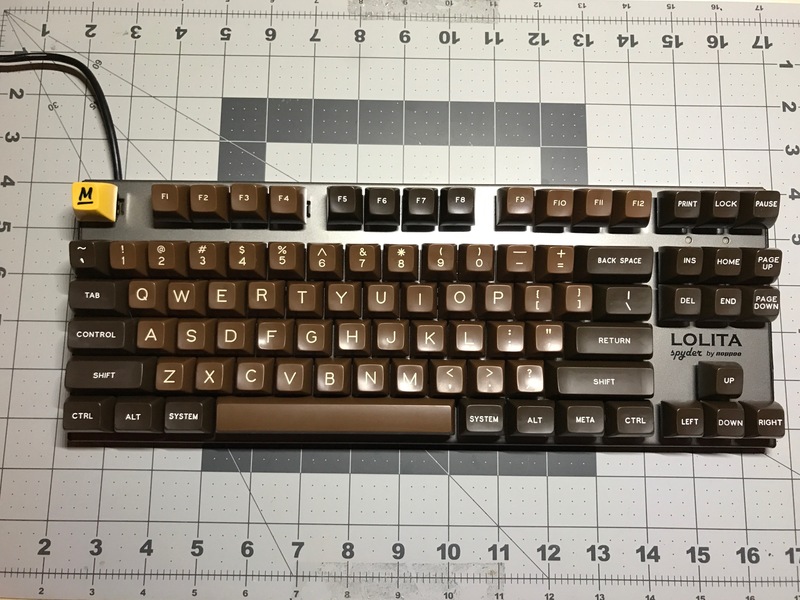 I received my sets of The Amazing Chocolatier from Massdrop today. 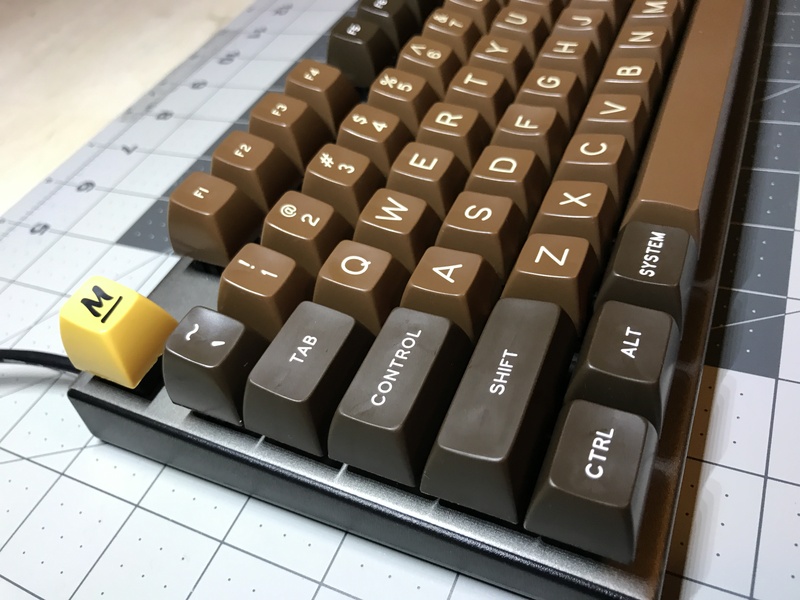 This is a SA profile keycap set from Signature Plastics, with row configuration of 1-1-2-3-4-3. I actually ended up buying two sets of these, one in standard tenkeyless ANSI, another in ErgoDox layout. To be honest, after making the purchase, I wasn’t 100% sure that I was in love with the set. The renders looked great, but brown can very easily be done poorly. Fortunately I had nothing to be afraid of - this set looks just gorgeous. 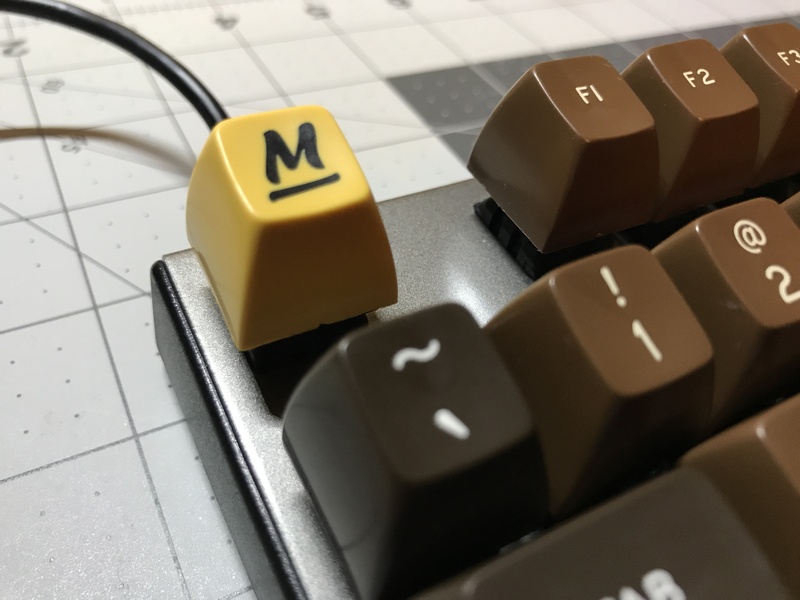 I was also one of the folks who received the Massdrop raffle keycap associated with this set. It’s a lovely accent for Esc. This is the first time that I’ve used SA profile keycaps on a standard layout board. My only previous experience was with the ortholinear ErgoDox layout. 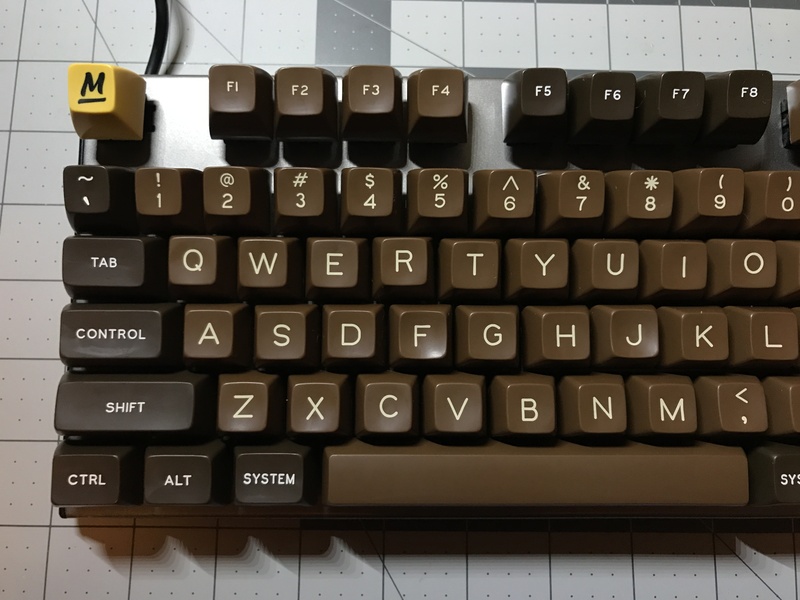 Of course, SA is still submlime in standard layout. 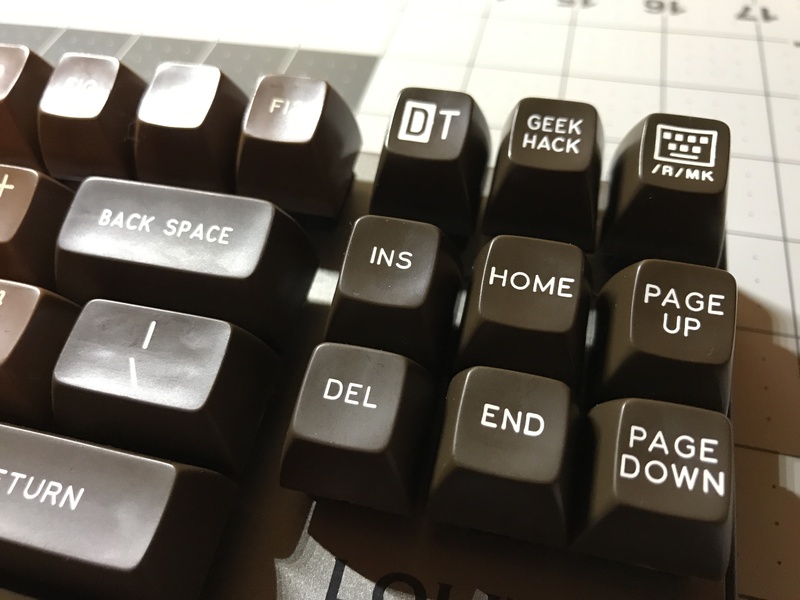 It’s easily my favorite keycap profile. For the moment I have a set of these keycaps on my Noppoo Spyder, but that’s just temporary. 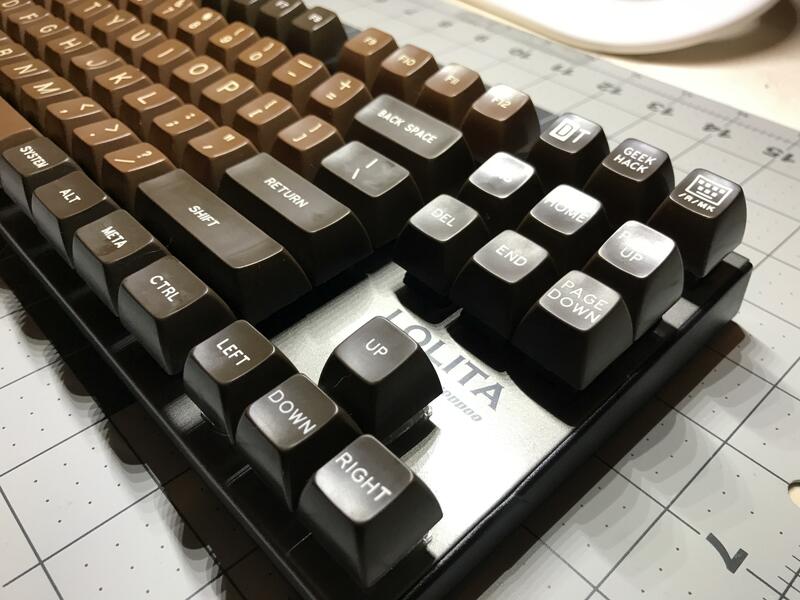 I have an upcoming build planned for these keycaps, likely in a wood case. Stay tuned!